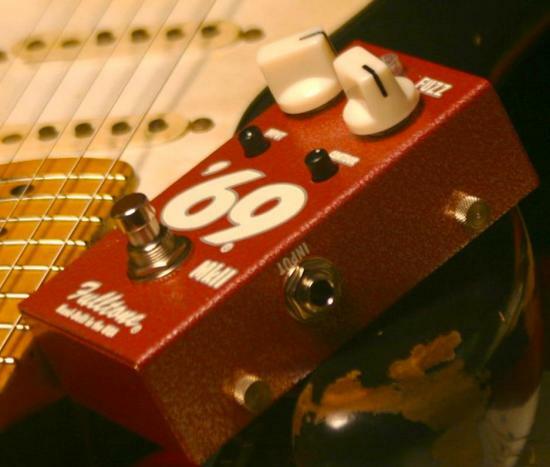 69pedal on "Albert's Association" from my forthcoming release "Half Step Down" using a Strat > bridge PU > 69 > TTE > Fender Reverb tank > 100watt Marshall LOUD. Albert's Association, with Chas Mclure on drums and Jimmy Johnson on bass. Strat/Neck PU > Fulldrive2 > Leslie Model 16 and also (during the solo section) the transistion to: Strat > 69pedal > FenderReverb tank > 100 watt plexi Marshall about half way into the guitar solo section. Alot of emails are coming in asking "Where can I get a 69MkII?" I know there's this misconception that we're some BIG CORPORATION... couldn't be farther from the truth! Everything's handmade right here in this 3,750 sq.ft. 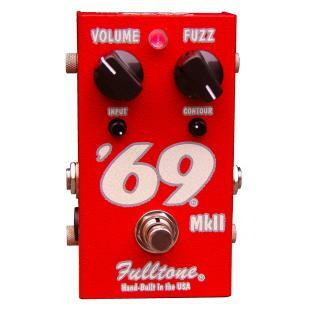 shop and we can only make about 15 to 20 per week of each Fuzz pedal... that's it! Now with 300+ dealers around the world, if you divide those pedals up, then you can understand why you're having a hard time finding one. YES, they're shipping! NO, I can't tell you who's getting how many or when. Sorry! Due to the overwhelmingly positive response to the recent limited-edition 69-"Slight Return" (Sold out!) and the fact that I have patched things up with the transistor company that made my germaniums during the heyday of the 69 pedal (1994-1997), I can now get perfect germanium transistor matched pairs (same as used in the recent 69 Slight Return and same that were used in the 1994-1997 69's). So I am officially coming out with a small box version of the 69 pedal (in a OCD, FatBoost3 sized enclosure) called "69 mkII." Boxes are done, pcb is done, silk-screens are done, we start building in a couple of weeks.